Foodshed Nomad is an ongoing project of Bruce T. Milne of the University of New Mexico where I am an ecologist and director of the Sustainability Studies Program. I explore ways to construct a meaningful identity rooted in local food, traditional architecture, pastoral ways, culture, crafts, and community relationships. 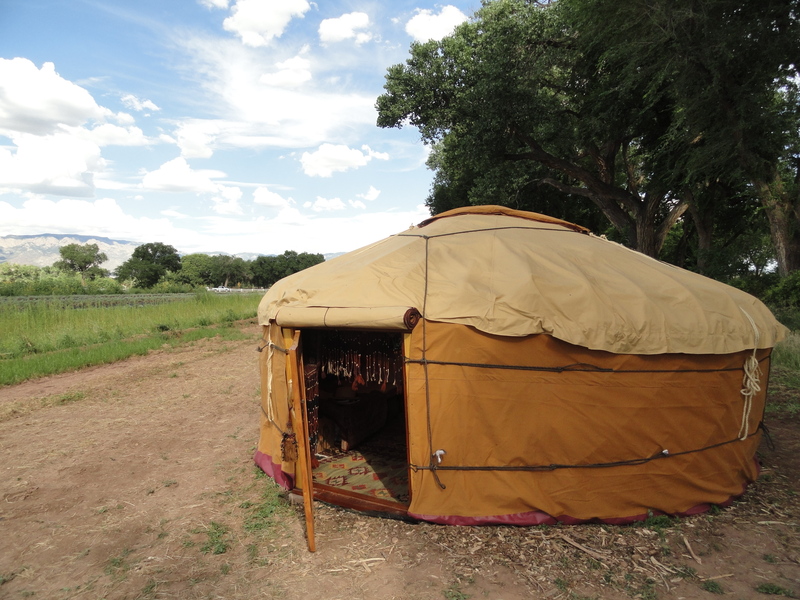 I visit sites in New Mexico where I live temporarily in a highly portable, homemade 14-foot yurt I built from scratch following excellent instructions in Paul King’s The Complete Yurt Handbook. Visitors experience low-impact living, learn about developments in New Mexico’s foodshed, and celebrate the art and ecology of life. The project prompts us to question assumptions about our needs, to evaluate more sustainable options we could adopt, and play with a quasi-rational approach to finding rewarding ways of providing greater well-being for all.